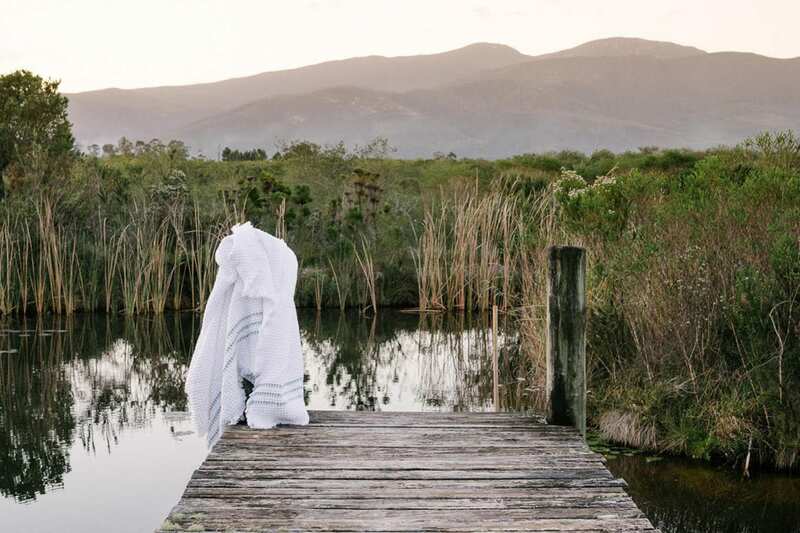 The Belgian Waffle is the ‘thickest’ towel in our range. With soft and absorbent characteristics, the classic waffle weave construction and bold texture, allows more surface area for drying. 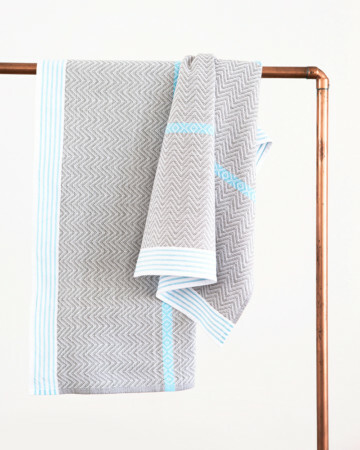 We think the Belgian Waffle towel is a perfect transition for the folk who have not yet tried our flat weave towels. We’re pretty sure you will be converted after this. A new flat weave towel revolutionary to join our ranks, witty posters and slogans welcome. 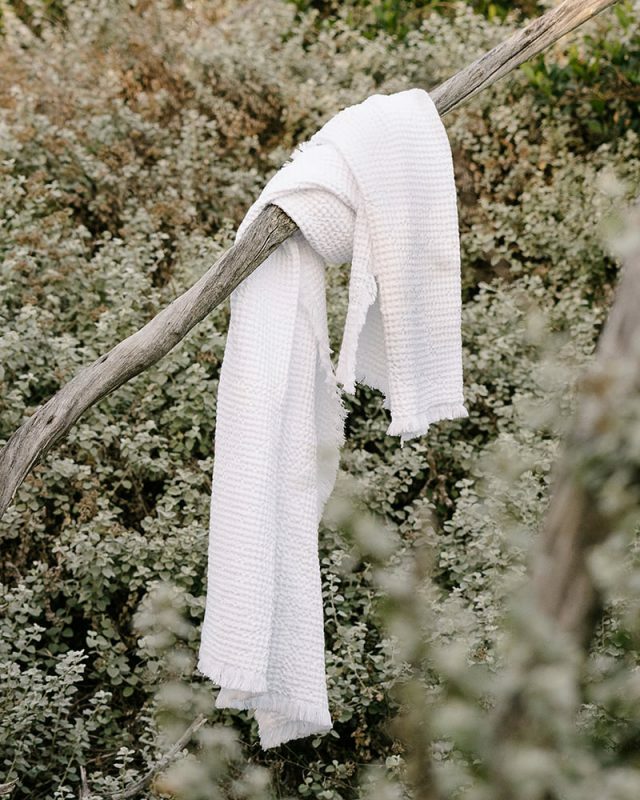 An enduring classic, the famous waffle weave has been associated with toweling long before the terry towel was invented. Our Belgian Waffle takes advantage of the three dimensional, pocket-like structure of the weave to create a soft and absorbent towel. 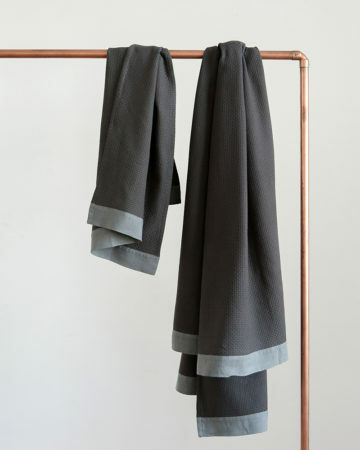 Like our meals, we enjoy our towels generously proportioned, so we’ve woven it wider, longer and packed in more yarn to make a towel that feels like a blanket. And we’ve enhanced its already outstanding good looks with a long frayed edge. 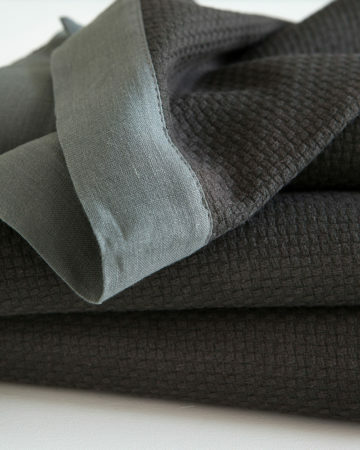 Woven from long staple, super absorbent cotton, these towels are wrap around you warm and cuddly. 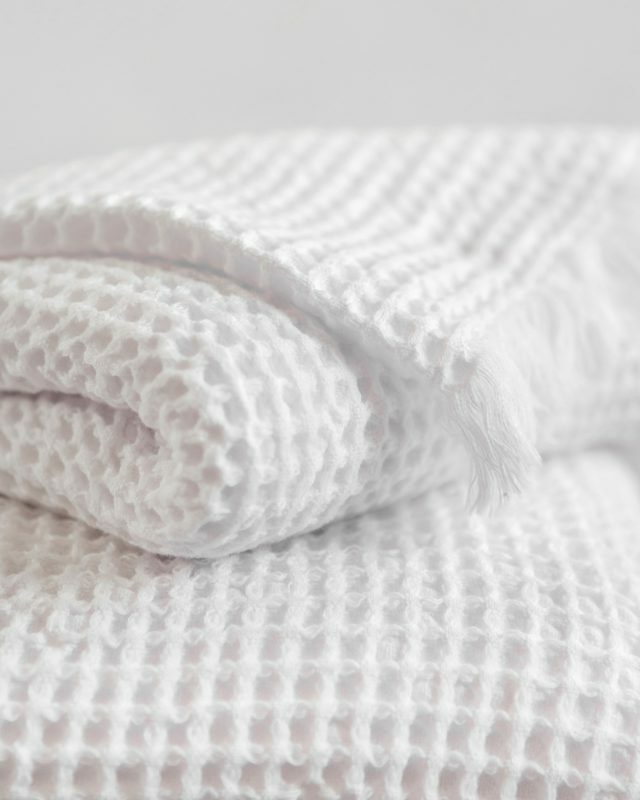 Read our blog about the creation of the new improved Belgian Waffle towel here. The warp and weft threads in a classic waffle weave, aka the honeycomb weave, interlace and float in a regular pattern of ridged squares. This increases the surface area and hence the absorbency of the fabric. 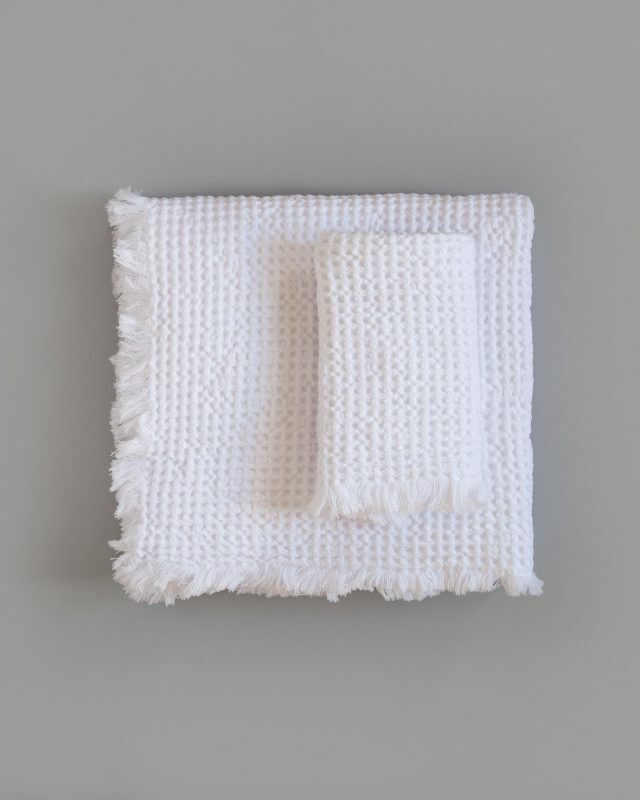 Super Absorbent: The honeycomb weave lifts more moisture away from your skin and the natural cotton yarn absorbs it quickly. Softer & Softer: Cotton yarn ages well and becomes more and more soft with each and every wash, which makes for increased snuggliness as time goes by. Quick Drying: Flat weave towels take up less space in the wash and dry quicker than terry cloth. 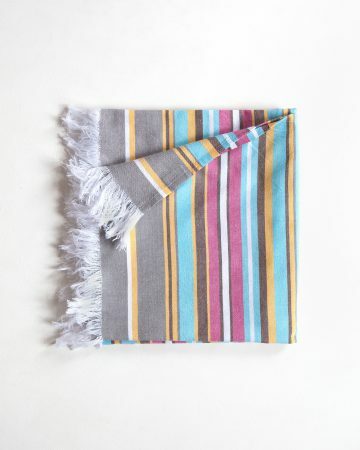 Eyelash Fringe: An extra length eyelash fringe on all four sides make this towel one of our best looking. My waffle weave bath sheet is literally the most luxurious thing ever and takes self-care to a new level for me. Love it!